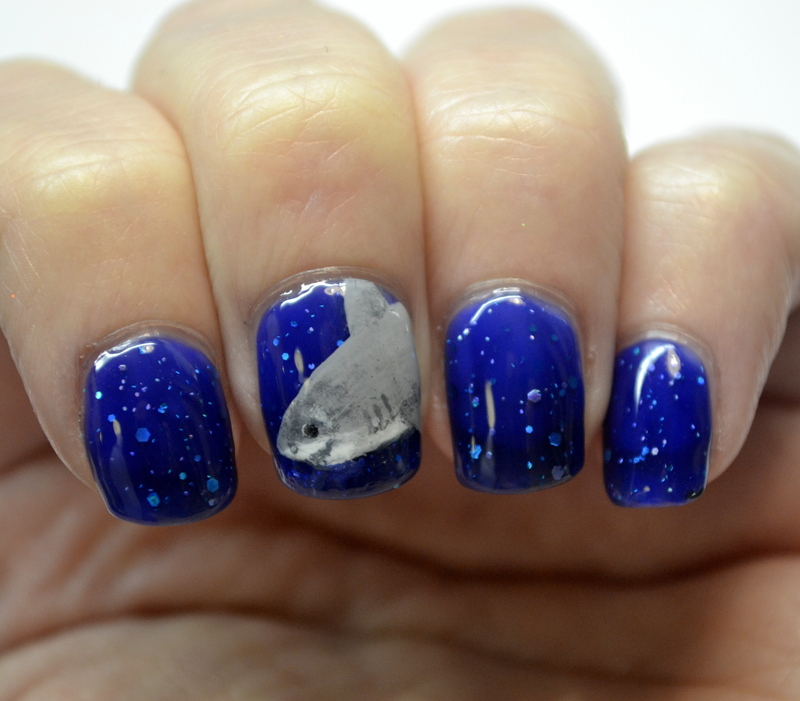 July 7, 2015 / Rachel C.
So did you know it’s Shark Week?! 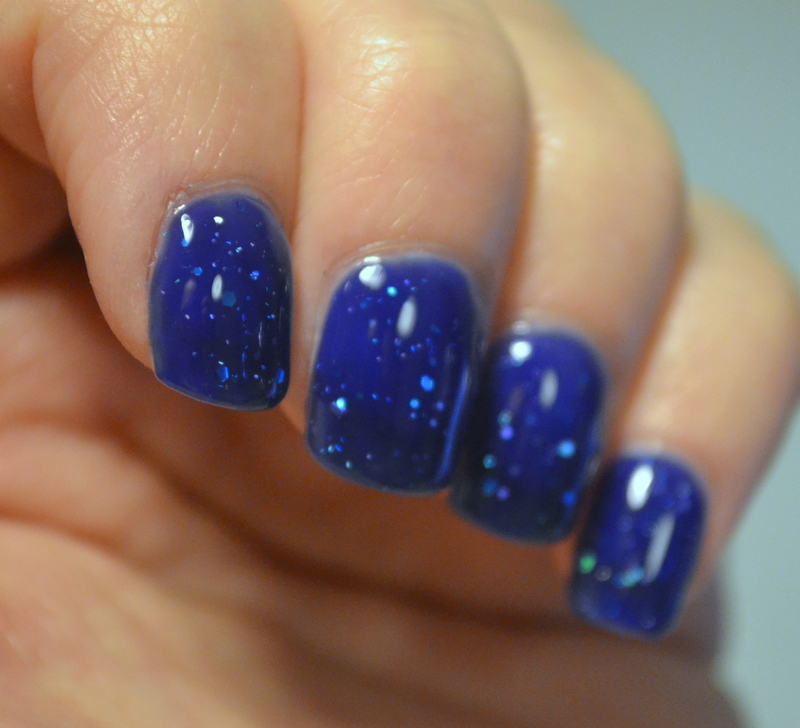 I’ve seen a couple of manis for it, and I kind of wanted to try my hand at one. 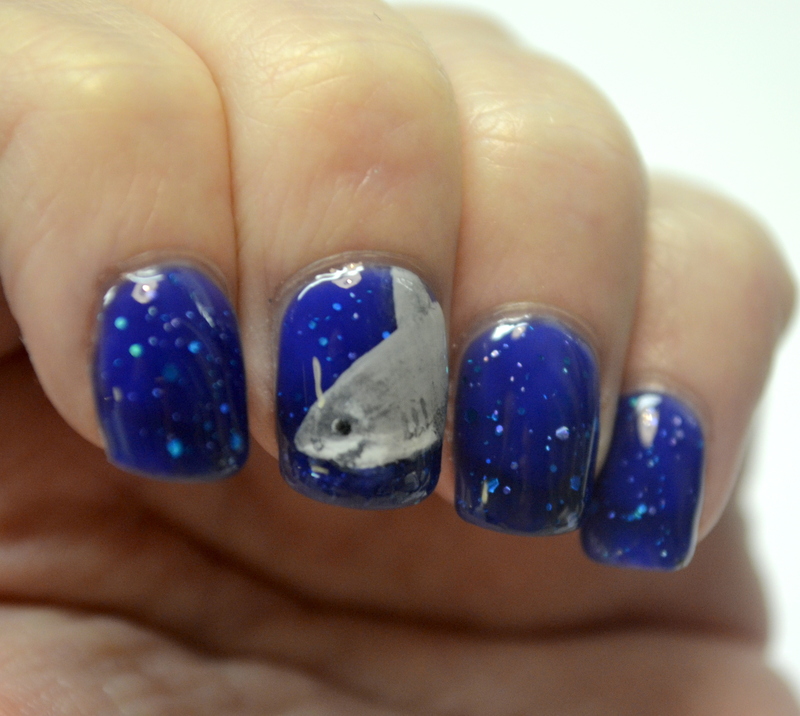 And since I’m doing OMD3…it made sense to combine my Shark Week nail art with one of the OMD3 prompts. I thought the glitter prompt would work well for a watery environment. 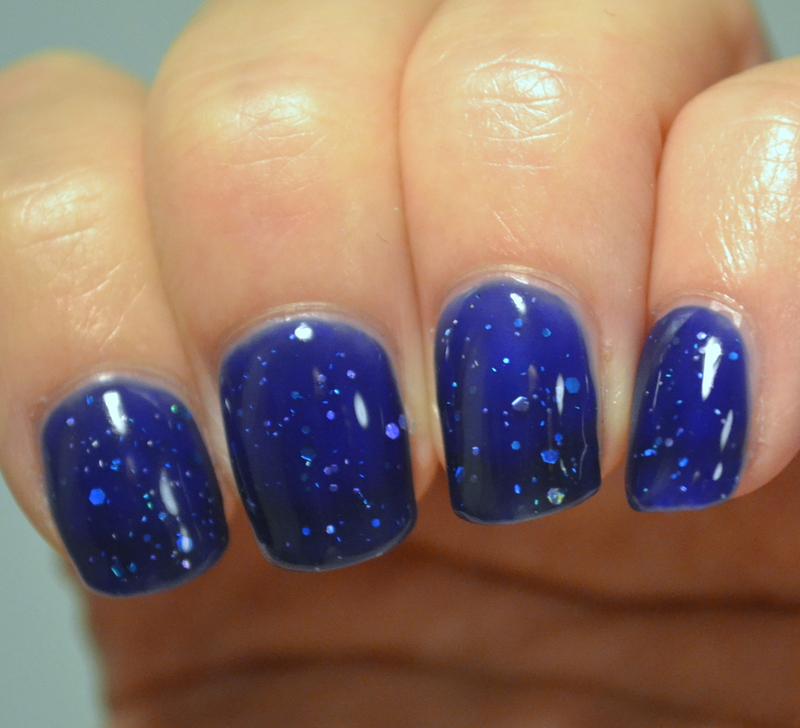 Sugar Tips Lacquer Fathoms Below would have been perfect for this, but since that polish is still on my wishlist I had to come up with something different. 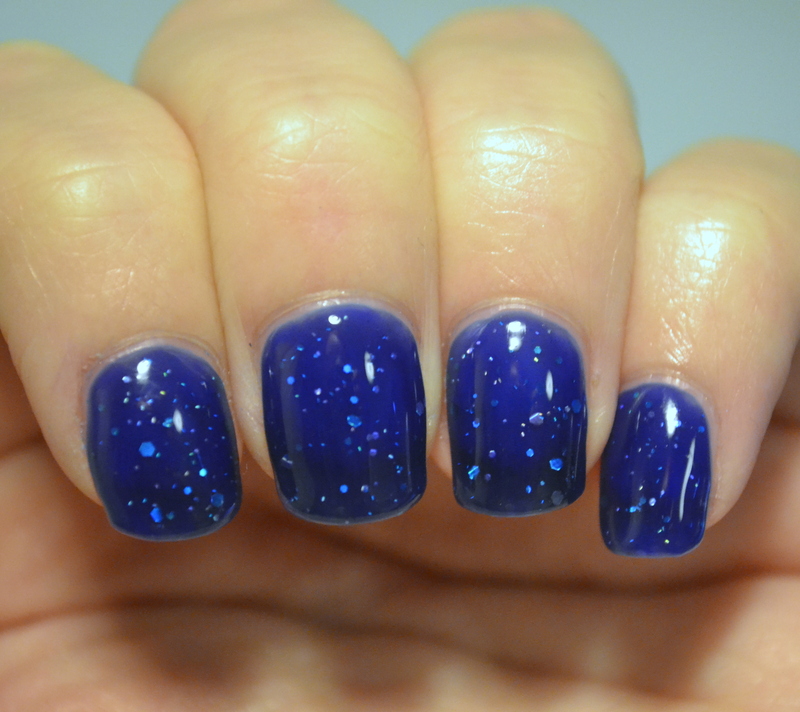 So I used LynBDesigns Sacre Blurple and 365 Days of Color The Boy Who Lived and made a jelly sandwich. It turned out to be so pretty! There’s definitely visible nail line in the photos, but it wasn’t visible in person. And then I added my shark. I had so much trouble with this thing, which I guess shouldn’t come as a surprise since I always struggle with painting animals. 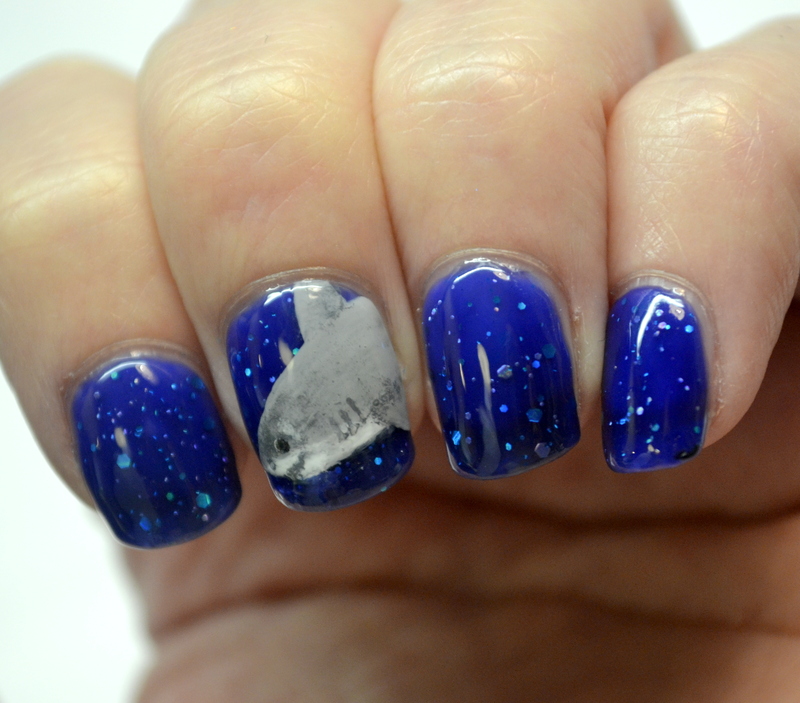 You wouldn’t think that combining a glittery prompt with an animal as intimidating as a shark would have worked out so well, but it did. I’m really happy with this, and I think the shark turned out pretty well!